Pure essential oils. Soothing organic. USDA organic. 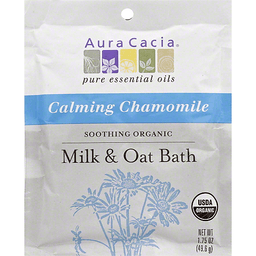 Aura Cacia Organic Milk & Oat Bath provides instant skin relief with the calming aromatherapy benefits of 100% pure Roman and German chamomile essential oils. Organic milk powder dissolves to form a nourishing, protein-rich bath soak. Mmm, baby-soft and good as new! Organic whole grain oat powder creates a creamy bath suspension of skin-calming, soothing benefits. Ease your body into bliss! Organic Roman and German chamomile essential oils provide a pleasing, floral-herbal aroma with a calming aromatherapy benefit. Ahhh, the sweet scent of surrender! Tested & verified for purity. Not tested on animals. No synthetic ingredients. 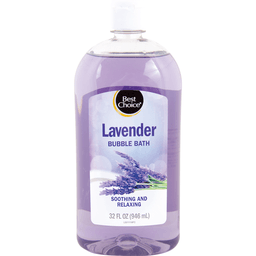 Paraben and petroleum-free. Not formulated with wheat or wheat gluten. Made with milk from Organic Valley. www.auracacia.com. Certified Organic: Quality Assurance International. Certified organic by QAI.